Telecom Expense Management (TEM) software and managed services coupled with procurement/ordering modules can save you on wireline and wireless investments while increasing productivity. By consolidating telecom management, validating cost center allocation, renegotiating your contracts and optimizing your voice and data infrastructure, you can achieve a highly efficient and cost-effective telecom structure. Before you can start to save money, you must be aware of your cell phone inventory, circuits and service assets you have throughout your enterprise. The first step is to create a single list of telecom assets by gathering data from internal inventory spreadsheets, databases, carrier Customer Service Representatives, contracts, and invoices. This centralized pool gives you instant visibility into and control over wireline and wireless investments. 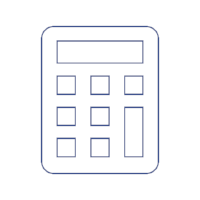 Another significant benefit of consolidation is the savings you will see on invoice processing. Streamlining the process of receiving, reviewing, and processing a single telecom carrier invoice, not to mention multiple carrier bills, can significantly reduce your expense. By getting these invoices out of the hands of individual office managers and into a centralized database, you can start to gain economies of scale. For example, you can send a single check to a vendor providing multiple services. You can also automate parts of the invoice review process, such as automatically approving invoices that fall within acceptable parameters. Once you have consolidated your telecom assets, it will be easier to see where your telecom dollars are being spent and verify that this is the appropriate use of your budget. One key to validation is to map the centralized asset inventory you've created to other sources of data such as carrier invoices, telecom contracts, and tariffs. Another key to validation is to map the usage of assets for things like long distance and wireless usage against critical performance indicators (that is, what people or offices typically use) and corporate usage policies. By mapping your inventory, you will also be able to uncover services, hardware, and circuits that aren't being used. It is not uncommon to discover services that should have been disconnected or paying for services in an office that has closed. Cost savings can also be found by validating feature sets. Make sure you are not being charged for add-ons that employees do not need and aren't supposed to be using. An example of such an add-on is texting. If an employee is texting and it is not part of your usage policy or service that you have contracted for with the carrier, you could be paying a high price for something you were not aware of. In a decentralized organization, it is hard to negotiate bottom-line pricing with service providers because you lack volume and inventory insight. However, with the business intelligence, you gain from a consolidated expense-management database, you can see what types of services you are using from across the organization and use that data to leverage better deals. Telecom expense management is an ongoing process, not just a “once-and-done” proposition. Even if you have streamlined invoices to the best possible pricing and are only paying for assets you have in use, you still have an opportunity to save money by optimizing your voice and data infrastructure. Perhaps the most significant benefit of deploying TEM is the ability to move from being reactive to proactive, continuously save money and impacting your bottom line.